The Olympics are over, but I can’t stop thinking about the elite athletes, and how inspired and moved I always am by their dedication. They train every single day, not just practicing their specific sports, but also strength building, stretching, and all manner of conditioning exercises to achieve optimum fitness. This is why they are the best in the world, but it also reduces their likelihood of injuries. We’ve all heard of the “Weekend Warriors”. Most of us have at least one or two friends who are such athletes, competing in their chosen sports once per week as their only regular exercise. Of course, it doesn’t mean that they don’t want to exercise more, but many of them are so busy during the week that they just don’t have the time. Unfortunately, the term “weekend warrior” is also commonly heard along with the word “injury.” According to some authorities, Weekend Warriors are more likely to incur injuries than athletes who train more consistently. So why should dogs be any different? I have colleagues and friends for whose dogs the weekend training sessions are most of the exercise that they get for the week. These dogs might go for a walk or two during the week, but otherwise spend most of their time inside their homes or apartments with little physical exercise. Now I’m not remotely suggesting that they have bad lives – they get to sleep on beds, hang out on the couch with their owners, and play nice games of tug or fetch down hallways – but they are not getting the exercise needed to maintain the fitness levels to safely compete in some of the high-octane sports that they do. 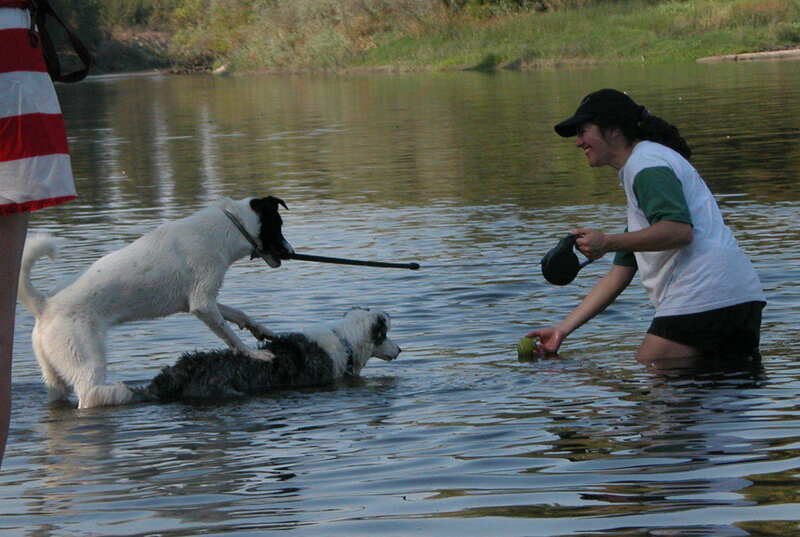 Swimming is another good form of exercise if your dog likes water. They are Weekend Warriors. And like their human counterparts, I see them injured more often than their fitter friends. Injuries appear to occur suddenly, and often surface at practice or in class, when the dog is running drills or otherwise exerting itself. If one is going to compete in a high-exertion sport, particularly one that involves jumping or turning, such as agility, then fitness really should be a priority. In addition to training sessions within the given sport, athletes should get several days per week of solid cardiovascular exercise. I recognize that not everyone is a runner, or can afford a training treadmill for their dogs, but there are other options, such as a solid retrieving session, or a good romp with a playmate. If your dog is not well-suited to a dog park, then a play date might be in order with a dog whose company he does enjoy. Other options for exercising dogs include cycling with them (I recommend the use of a rear-axle fitted device) or hiring a dog walker who may be able to take your dog out for longer jaunts. 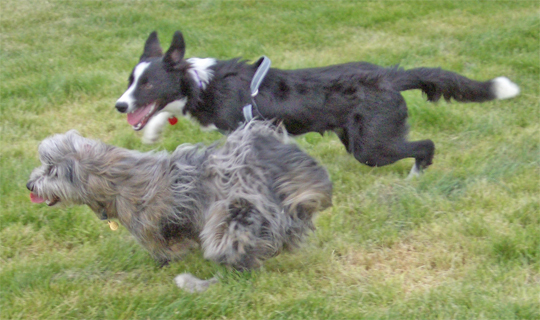 And some dogs, given a bit of playful encouragement, may even go into “zoomies” on their own. Regardless of the type of fitness exercise that you choose for your dog, be sure to check with your veterinarian to confirm that he or she is healthy enough to embark on a conditioning program. 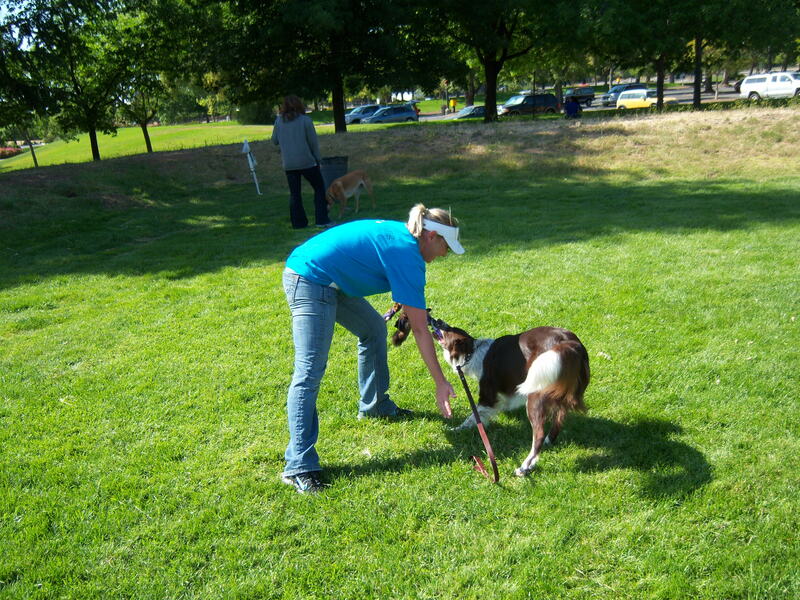 For further information about canine fitness, check out the work of Christine Zink, DVM, who specializes in canine fitness and sports. Now, get off the couch and get some exercise! Though sometimes, a nap is well-deserved! With the Olympics in full swing, my favorite events are now televised: the track and field events. I have been a runner pretty much my entire life,. In the early days I would sometimes be asked by naive passersby if I needed a ride somewhere. My running attire included jeans or jean shorts, and whatever sneakers I happened to have on. Luckily for me, by the time I entered Middle School, I had a coach, and was able to get some proper attire. I started running with Nick, my German shepherd dog, right about that time as well. Over the years, I continued to run, throughout high school and then on a track scholarship in college. And in spite of the wonderful friends that I have made in the lanes and on the trails, my favorite running partners have always been my dogs. The don’t complain about rain or cold or having to get up too early, and I have never been stood up for a morning run by a dog who had been out too late the night before. Not surprisingly, my daughter is already learning the joy of a dog as a running partner as well. Yet, running with a dog entails more than just putting on the leash and heading out the door. Like people, dogs must be in suitable condition to run, and in spite of their lack of complaining, weather and other factors can absolutely affect them. 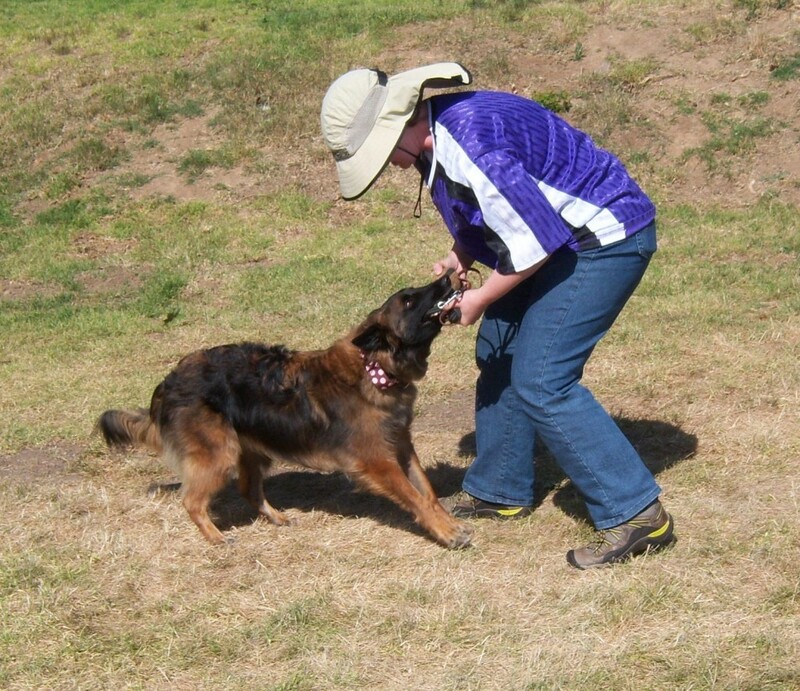 First, there is basic conditioning – just like people, dogs must take the time to gain conditioning. If you are already a runner, as I am, I recommend taking your dog on a short warm up of your run at first, running a short loop, then dropping him off at home before completing the rest of your run without him. In this manner, you can feel that you’ve had your full run without pushing the dog beyond his capabilities. 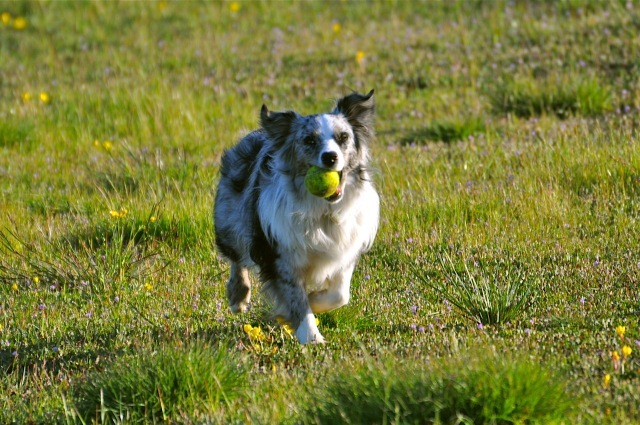 Our daily runs also keep us in shape for flyball and other sports. If you have a young dog, be sure to consult with your veterinarian, and don’t start running him for extended distances until his growth plates are mostly closed. 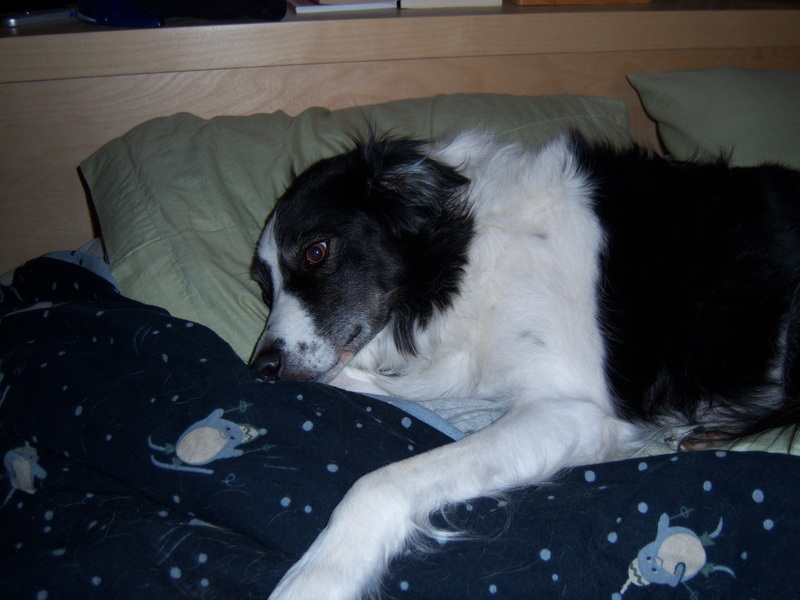 I start training my medium-sized dogs (border collies) at about 9 or 10 months, and don’t run them at full distances until over a year of age. With the larger breeds, I’d wait longer than that. 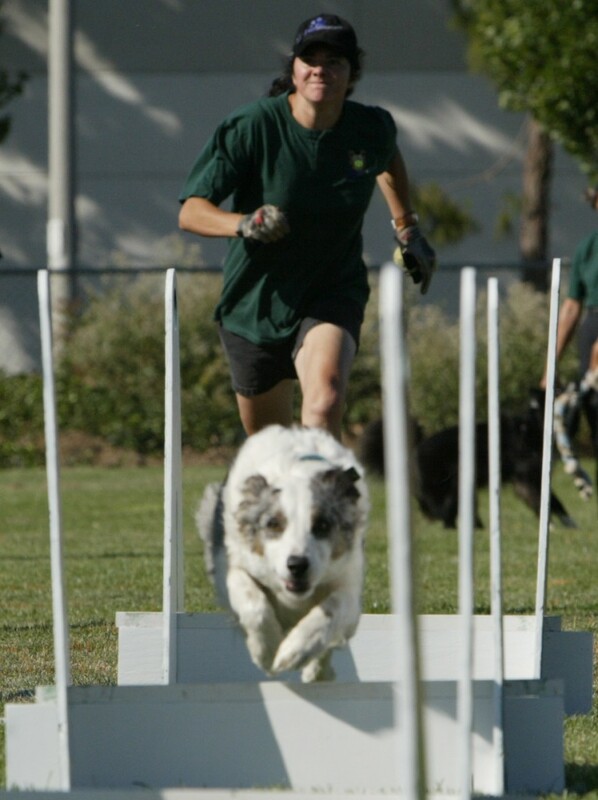 Note that the breed and size of the dog may be determining factors in maximum running distances. I’m a middle distance runner, so it’s never been a problem, but if you are an ultra-runner, consider your dog’s breed and condition before taking him along on your longer runs. It’s important to understand that a dog will often not tell you if he’s had too much until it’s too late, so be aware of the signs of overheating in a dog which include a darkened tongue, labored breathing, stiffness of gait, and hyper-salivation (excessive drooling). Dogs also tend to overheat at more moderate temperatures than many humans, so don’t take your dog out if the weather is particularly warm. I have cut short runs with my dogs when I was raring to go on, but I realized that the heat would not be good for them. 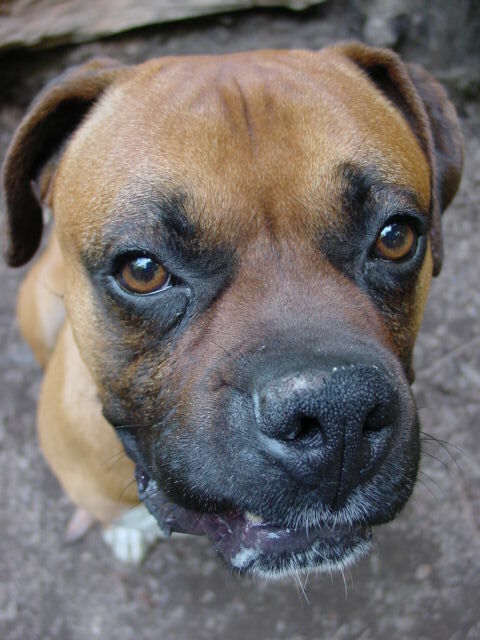 Brachycephalic dogs (with flat noses such as boxers and bulldogs) can overheat even more quickly, so must be monitored even more closely. As to training, while I allow my dogs to wander to the ends of their leashes on walks, I insist on heel at my side while running. This is more for safety than anything else, as a wandering dog may get underfoot, tripping you and potentially injuring itself. I recommend against taking a dog running until he knows at least the basics of leash manners, and does not have reactivity issues on leash. If you are fortunate enough to find off-leash places to run with your dog, then a solid recall is a must, as well as a really good leave it command. And even in off-leash settings, a good heel at your side is useful for those times when you need your dog close in order to keep him out of trouble. Running with your dog can be a most relaxing and enjoyable bonding experience, as well as a great way to stay in shape together with your best friend. Just be sure not to overdo it, and let your dog determine how far is far enough. And if you are unsure as to whether your dog is well-suited to running with you, consult with your veterinarian first to assure that it will be OK for him to do. I often hear people tell me that they just want their “dogs to be dogs”, doing what they want when they want to. But while most cats may be perfectly well-adjusted without ever being given tasks to do while getting whatever they want when they want it, dogs do not fare so well in such settings. In their wilder days, dogs’ ancestors lived in packs with complex social structures and numerous rules of social etiquette and behavior. Today, they live in our homes, as members of human families. Over the years, we have bred them for specific jobs, and today’s working dog wants some kind of direction from us so that they may know how to be a good dog. And unfortunately, without some kind of structure in their lives, dogs can run amuck, confused as to what their “responsibilities” within the household really are. Wait at all doorways – while common lore suggests that this may help dogs understand their rank, there is a much more important reason for this rule, and that is safety. A dog that waits at doorways is far less likely to bolt out into the street, or to rush visitors outside on a porch, causing you problems with friends or delivery personnel, or your mail carrier. Go to your Place – this wonderful cue is ideal for keeping your dog out from underfoot when you have other things to get done. It can also be used to help your guests to feel more comfortable in your home, and so you don’t have to compete with your dog for their attention. Get off the furniture – While it may be easiest not to allow him on furniture at all, if you do allow it, make certain he’ll move over when asked. An “off” cue is vital here. The easiest way to teach this is to say your cue (“off”) and then lure your dog off the furniture and to the floor, rewarding when he is off. If your dog guards the space he is in, seek professional assistance with this, as simply forcing a growling dog off of furniture could prove dangerous. Work for everything – This not only establishes the habit of responding to your cues, it also adds value to your commands; when you ask your dog to do something, good things happen, therefore it behooves him to respond appropriately. Work could simply be a “sit” and “wait” for food or a “down” prior to being petted or let out into the yard. This is a sort of “please and thank you” for a dog. Most likely, you will have more rules for your dog, such as not jumping on counters and not begging for food at the table. Remember that, like children, dogs need rules in order not to cause trouble. If you are having difficulty enforcing rules, contact your local trainer for assistance before things get out of control. Has your dog taken over the house? While the nature of most dogs is to please, I often hear of dogs who seem to do whatever they want, whenever they want. They respond perfectly to sit, down and come when treats are present, yet they appear to completely forget all of their training when there is no food or treats present. These dogs often demand attention and get it whenever they want. They get to go for walks when they ask, get to play tug or fetch whenever they ask, and easily get ear scratches just by setting their heads on someone’s lap. What does this all mean? First, it’s important to remember that dogs have evolved with us over centuries – some say thousands of years – working cooperatively with us. In the past, dogs served humans by helping to hunt, herd, fetch, and warn of danger. While there are service and assistance dogs in action today, most family dogs don’t have “jobs” in the traditional sense. As a result, they are often left without direction, and with very little respect for leadership. This can lead to problems, particularly in high energy and intelligent dogs. 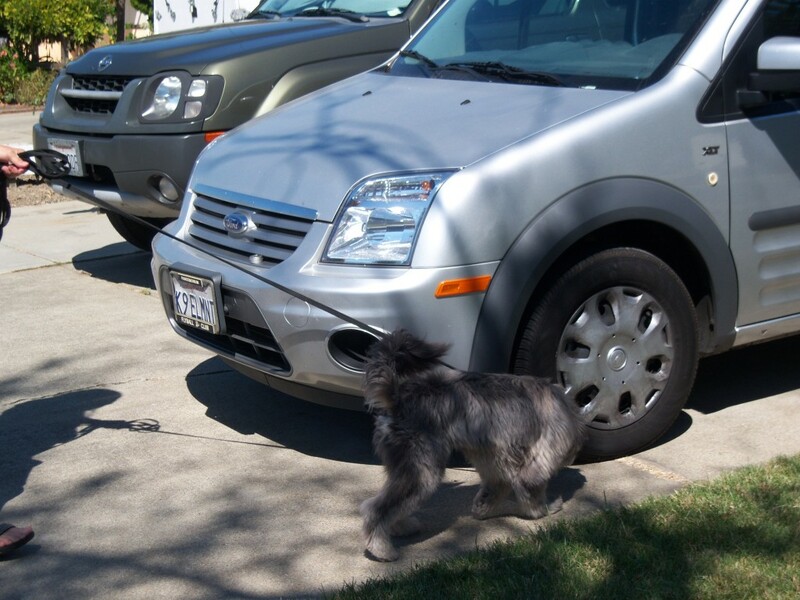 Fortunately, the solution to these pushy and disobedient dogs is not difficult – in fact, even a schoolchild can do it! (Supervised of course!) The best way to convince a dog that you are worth respecting and obeying is to employ a program that is commonly called “Nothing In Life For Free” or NILFF. Much like the rules that we set for children – such as no video games until your homework is finished, or no TV until you’ve taken out the trash – the demanding pooch must do for us before we do for him. Does he want his ear scratched? He must first sit, then down, then sit – OK, now pet him! Does he want to go outside for a walk? First he must sit and shake a paw – now we’ll go outside. And don’t forget to make him work for his meals as well as any petting or affection. Additionally, if you regularly play games such as tug or fetch with your dog, use these as opportunities to train as well. In between throws of a ball or Frisbee, ask for a sit/down/sit, or a spin or some other trick then throw again. 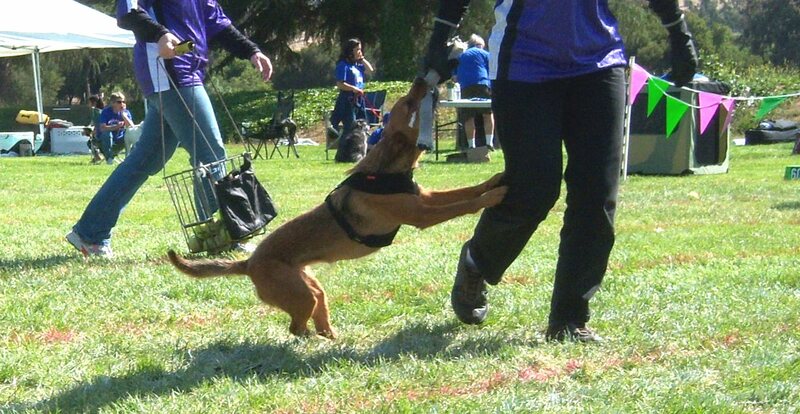 If you play tug, intersperse the game with drop it cues and ask for sits or other behaviors before resuming the game. 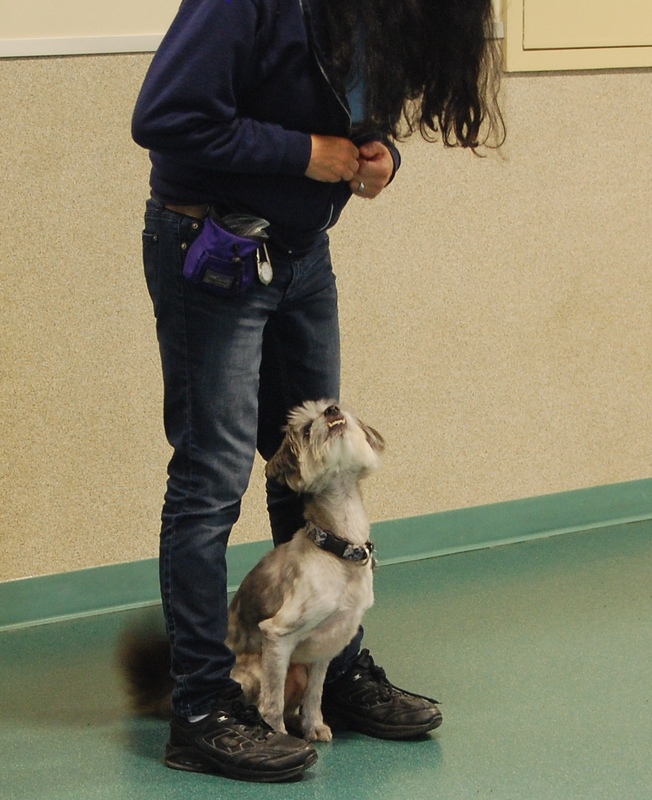 In addition to adding more interest and mental stimulation to everyday games and tasks, incorporating NILFF with your pooch will reinforce in him the habit of responding to your cues. Then, when a command is of particular importance, such as a recall near a busy street, you’ll be much more likely to gain compliance. And when you are trying to relax and watch a movie or get some work done, he can learn to be less pushy and demanding of your attention. Now, if the problems with your pup are related to aggression or anxiety, of course you should contact a professional trainer or behavior counselor. However, if it’s just about better obedience, think about incorporating NILFF into your routine. Although it may seem like a lot of work, you’ll find that it easily fits into your schedule. And remember that it’s not about the commands specifically, but about teaching the dog that he’s not the one calling all the shots – you are! All dogs need physical as well as mental exercise to remain well-adjusted and content at home. And while high-drive dogs tend to need more of both of these, even the calmer family dogs can become bored and destructive if left alone for long periods of time without some sort of entertainment. So it is always a good idea to give your pooch a good mental and physical work-out before leaving him or her alone for any extended period of time. The good news is that this need not be particularly time-consuming. For many dogs, a 15-minute walk, preceded and followed by 5 or 10 minutes of obedience exercises, is sufficient to help them relax when left alone. (Note: if your dog has separation anxiety, please seek professional help first!) Although you may be tempted to skip the obedience part to give your active dog a longer walk, this is not necessarily the best option for smarter dogs, which require plenty of mental as well as physical exercise. In addition to the basic sits/downs/stays, games can combine the mental with the physical exercise and make the entire process more interesting for everyone. This is an obvious one, particularly for anyone with a retrieving breed. To make it more fun and mentally challenging, I recommend making the dog work for each throw. Before throwing the ball, cue your dog for a behavior, such as sit or down or paw shake. This will stimulate his brain as well as his body throughout the game, while making the game into a training session. Double bonus! While older literature may advise against this game, recent research suggests that it is actually a great bonding exercise. Before playing this game, teach your dog the “drop it” command, exchanging the toy for a treat each time. When playing, periodically ask the dog to “drop it”, then make him sit or do some sort of trick before vigorously resuming the game. This is another great combined form of physical and mental exercise with the bonus opportunity to do some training. For more details on a proper game of tug, see the blog post on tugging. To teach this, start by visibly tossing a treat to the ground and telling the dog to “find it”. 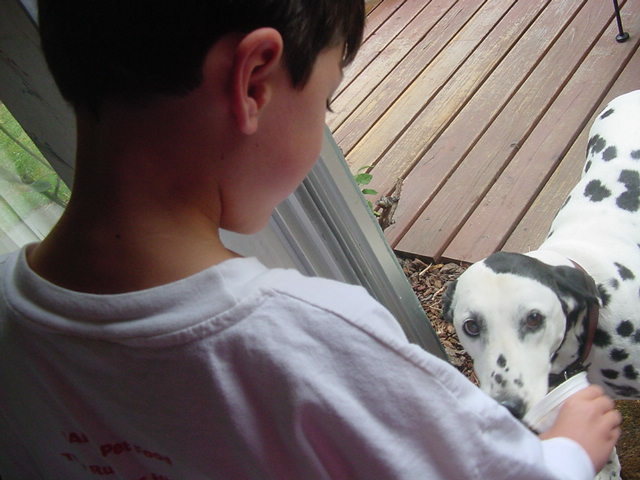 Once the dog understands the concept, you can toss treats where the dog doesn’t easily see them and then give the cue. Next, hide treats for him to “find”, and then work up to pairing the treat with a small toy. When he finds the toy, praise profusely and trade him the toy for more treats. An expansion of the find it game is Canine Scent Work, also known as Nose Work, which can really tire a dog mentally. Tell the dog to “find mom”, then have mom call him. When he gets there, mom gives him a treat then tells him to “find” the next family member. To engage the whole family, you can attach notes to his collar and make it a fun messenger game for the kids. As he learns each person’s name, the person he is “finding” will not even have to call him, but he will search to find them. This is not only a great thinking game, but a good way to practice recalls with a young or newly rescued dog as well. As you can see, keeping your dog engaged and mentally stimulated does not have to be a chore. By adding games, you’ll find that working with your dog is not only fun for him, but for the whole family. And the best part will be your well adjusted dog, thanks to all the mental and physical stimulation that he’ll be getting. How Many Sports Does It Take? Iwona B on Meet Tesla! M Cecilia Sternzon on R.E.S.P.E.C.T. Michelle M Ruiz on R.E.S.P.E.C.T.